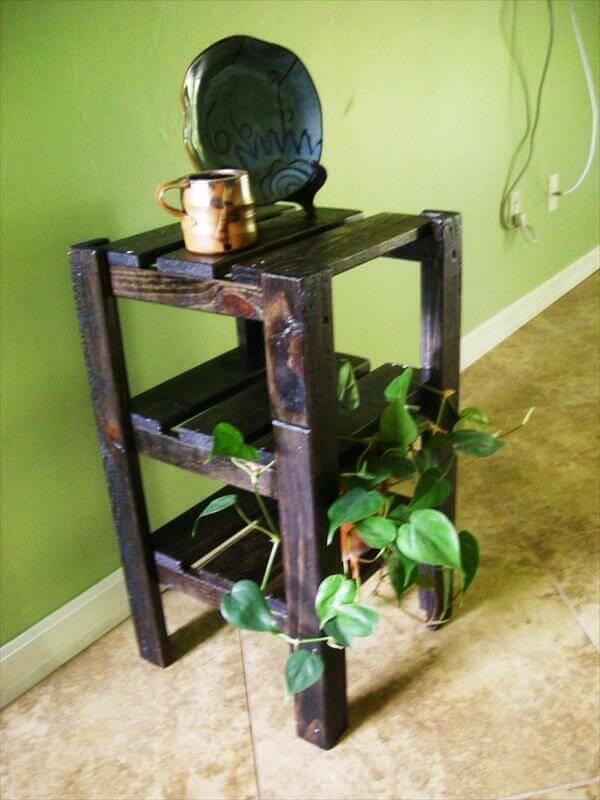 Pallet art provides us with plenty of small as well as large objects. 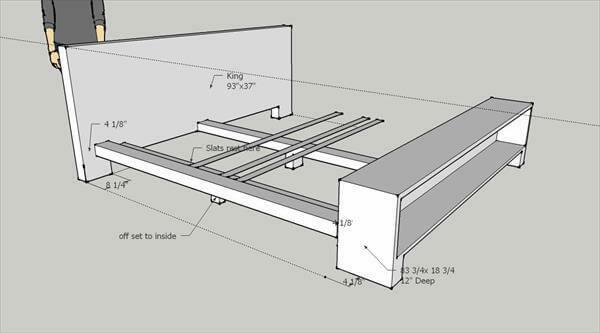 Pallet platform bed is one of such objects which are prepared by using reclaimed wood generally oak which is sanded smooth painted with color of your choice and finished with multiple coats of VOC poly for safety against weathering effects. 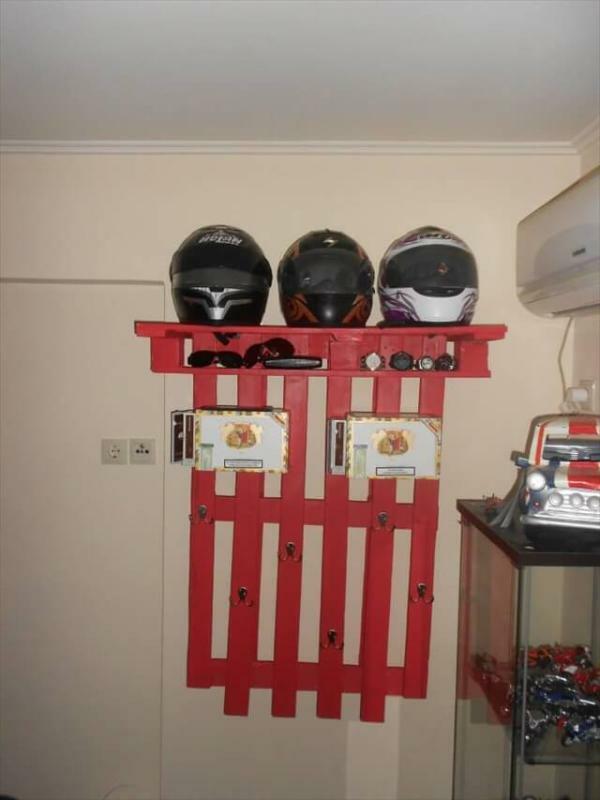 These are available in different sizes you can manage it as per your requirements. The way of decor of a pallet bed is different than a normal furniture item. 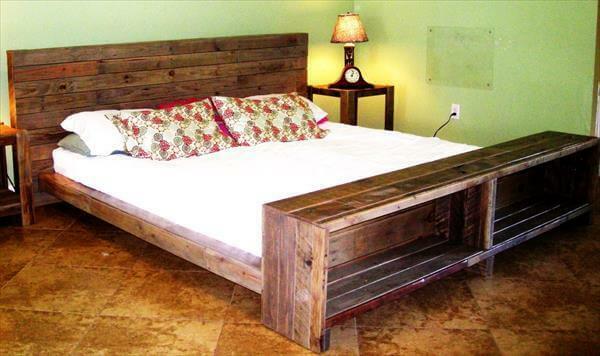 The beauty of pallet bed relies in the original wooden patterns in pallets. Their appearance in enhanced by applying silky smooth finish of varnishes and transparent paints. 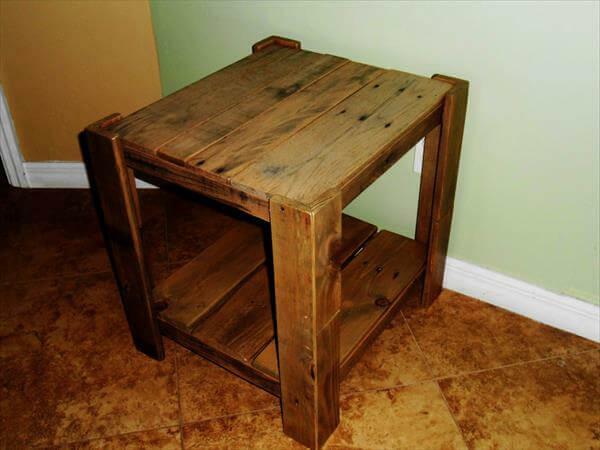 Pallet End Table or Night Stand.